Description The LC is the standard for small form factor connectors and is used extensively in the local area network as a standard fitting for many market leading hubs and switches. Technical Description The Multimode LC Duplex Connector features a latched lever mechanism which provides secure mating to the adaptor. 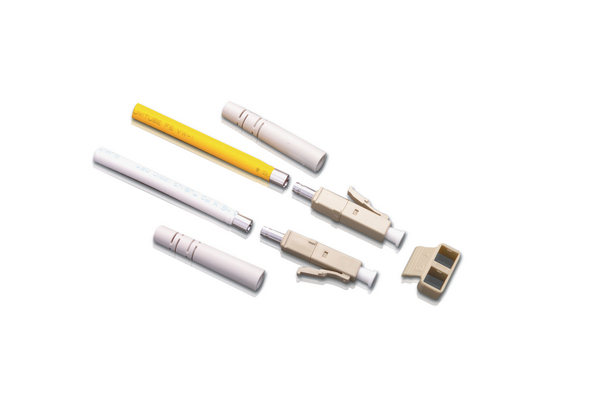 The connectors are supplied in individual bags including the connector, dust cover and a 3.0mm boot. All fibre adaptors and connectors comply with the IEC874-14 standard ensuring inter-operability.